Dolla Dolla Bill, Y'All. Bandcamp reports major milestone. 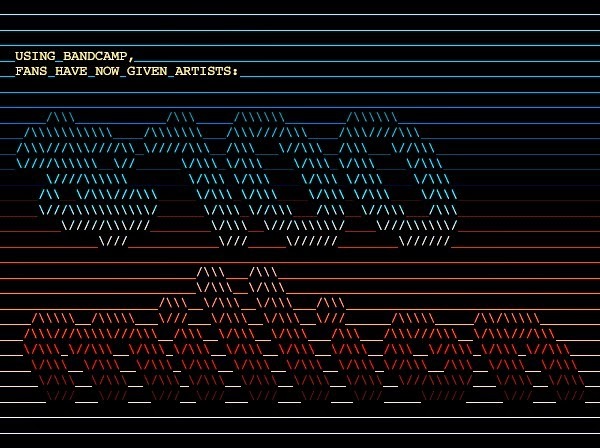 Bandcamp took to Facebook to announce a major milestone. Per the music streaming website, fans have now given artists $100 million USD through Bandcamp. Fans give artists $3.5 million every month on the site, and buy more than 16,000 records a day, which works out to about one every five seconds, 24 hours a day, 365 days a year. "So a big, big thanks to everyone supporting artists on Bandcamp, and to all the artists and labels posting great music too. We wouldn’t be here without you. P.S. We worked out of the public library for the first four years of Bandcamp’s existence. In May 2009, fans gave artists $12,823.12. It was the first time we’d crossed the $10K-in-a-month mark." Read more via the Bandcamp blog.